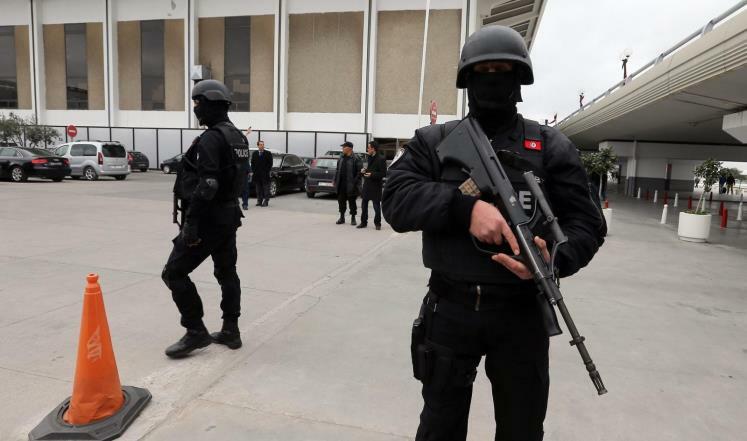 (Tunis) – Tunisians who complain or question police conduct may find themselves facing retaliatory charges of insulting the police, Human Rights Watch said today. Human Rights Watch has documented a pattern of cases against people who filed a complaint or announced their intention to do so, after police officers allegedly insulted, arbitrary arrested, or assaulted them. The people who allege abuse find themselves facing charges of “insulting a public officer during the performance of his duties,” punishable by up to one year in prison, under article 125 of the Penal Code. Parliament should reform this law, Human Rights Watch said. In one recent case, Salam and Salwa Malik, two journalists, were sentenced in May 2017 to six months in prison, later reduced to a fine. They were accused of insulting the police during a raid on their house seeking to arrest their brother, during which a policeman threatened to “blast” their 7-year-old nephew. The judge relied exclusively on the police statement, which the Maliks disputed, to convict them. In 2012, authorities prosecuted a human rights lawyer, Mariem Mnaouer, and in 2014, a blogger, Lina Ben Mhenni, in separate cases for “insulting” a state official, shortly after they had filed complaints against police officers for violence, supported by forensic documents describing injuries. After numerous hearings, their prosecutions continue. Human Rights Watch is concerned that authorities may be bringing these charges as a tactic to undermine the complainants’ case, or in retaliation for challenging police behavior. The cases against the complainants tend to be based mainly, if not entirely, on the statements of law enforcement officials. In four of the eight cases that Human Rights Watch documented, the judiciary quickly processed the complaint filed by the police officers, while the complaint filed by their alleged victims appeared to stall. In four other cases, the court merged the police and the citizen complaints into a single case, but then proceeded very slowly. Tunisia’s parliament should eliminate article 125 of the penal code because of the various ways that it can threaten human rights, Human Rights Watch said. The absence in Tunisian law of a definition of what constitutes an insult under the article allows authorities to interpret it broadly and to criminalize legitimate expression. In principle, laws that criminalize insulting public figures violate freedom of expression. In addition, the abusive application of this law deters people from exercising their right to seek remedies when they believe the police have abused them. In some cases, the failure of Tunisian authorities to prevent the filing of charges as retaliation against or intimidation of complainants could violate Tunisia’s obligations under the Convention against Torture and Other Cruel, Inhuman or Degrading Treatment or Punishment. That treaty, to which Tunisia is a party, requires that “Steps shall be taken to ensure that the complainant and witnesses [in cases involving torture or other cruel, inhuman or degrading treatment] are protected against all ill-treatment or intimidation as a consequence of his complaint or any evidence given” (Article 13). Salam and Salwa Malik are siblings who live in Tozeur, a city 450 kilometers from Tunis. Salam Malik is the president of the Tunisian Union for Community Media and director of the local radio station Jerid FM. Salwa Malik is a journalist at the station. Salwa Malik told Human Rights Watch that their prosecution stems from a police raid on their house in Tozeur on February 7. She said the police regularly visit their house to search for another brother, whom they suspect of membership in a terrorist group. At noon that day, she heard a hard knock on the door. When she opened it, she saw several police cars and about 20 officers, some in civilian clothes, some pointing rifles towards the door. She said she was frightened and asked them not to come in as her brothers were not inside and she was alone with her parents and nephews. As she spoke, her 7-year-old nephew came to the door, holding an electronic tablet. A policeman pointed his rifle toward the child, saying, “drop that tablet or I will blast you.” Salwa protested, telling the policeman that what he said would encourage terrorism rather than fight it. She said she then phoned Salam, who came to the house. Six policemen, including the head of the district police station in Tozeur, searched the house, leaving half an hour later. An hour later, she said, Salam took a phone call summoning both of them to the district police station, where they were interrogated separately for four hours. On February 8, they went to the Tozeur court prosecutor, who informed them that they faced trial for insulting the police before the cantonal court. The judge notes that both siblings denied offending the police, and said that they had criticized police actions without insulting them. The judge found that the police accounts were sufficient to convict both defendants of offending the police. The judge sentenced Salam Malik to six months in prison and Salwa Malik to a six-month suspended sentence, under article 125 of the penal code. Salam Malik was arrested when his sentence was pronounced, but released from Gafsa Prison six days later after the appeals court reduced the sentence to a fine. Mariem Mnaouer is the president and founder of the political party called the Tunisian Party and a human rights lawyer who has filed dozens of court cases on behalf of Tunisians who alleged torture. On August 8, 2012, Mnaouer accompanied the daughter of a person injured during the 2011 uprising to the Hay Hlel police station, in a suburb of Tunis, to help her apply for an administrative post with the police. When they arrived, she said, a police officer insulted the woman, saying she had already been there several times and he had already given her the information, Mnaouer said. When Mnaouer told him she would file a complaint against him for the insults, he grabbed her by the hair and pushed her against the wall. At that point, she said, the police station commander arrived, slapped Mnaouer on the face, and she fell on the floor. He continued hitting her as she crawled to a terrace. She said other policemen came and one grabbed her by the hair and pulled her into an office. The commander then punched her on the face, tore her shirt and put her in the police jail cell, which was holding four male detainees. They freed her that evening. On August 9, she went to the Charles Nicole Hospital, which gave her a document that Human Rights Watch has on file, stating that she had several bruises on her body and ordering eight days of rest. Mnaouer said she went to the prosecutor’s office of the first instance court in Tunis on August 11 to file a complaint against the police. In her complaint, which Human Rights Watch has on file, she accuses the head of the police station and other police agents of beating her. The prosecutor told her that the head of the police station had already filed a complaint against her for insulting a police officer, under article 125 of the penal code. The prosecutor registered Mnaouer’s complaint, but also indicted her for insulting the police. He referred both her and the police’s complaint to the investigating judge of the first instance court. That judge questioned her as the accused party on September 6, 2012. In his report, which Human Rights Watch reviewed, the judge reports that he questioned the commander of the police station as well as the police officer whom Mnaouer accused of beating her. Both denied Mnaouer’s allegations. They told the judge, instead, that she was the one who insulted them, calling them “the dogs of Ben Ali,” a reference to ousted President Zine el-Abidine Ben Ali. The court merged the two cases and has held 11 hearings, with the next one scheduled for July 10, 2017. Mnaouer said the judge postponed the trial at each hearing because the policemen accused of assaulting her did not appear before the court. Lina Ben Mhenni is a prominent human rights activist. In August 2013, the Interior Ministry informed her of a death threat and put her under police protection. On August 29, 2014, she went to Jerba with her family to spend the weekend, accompanied by a police bodyguard. Following the usual procedure, the bodyguard informed the local police authorities of her arrival. On August 30, at about 8 p.m., she was going with her father to an appointment. The bodyguard asked them to pass by the police station to inform them of their whereabouts. She parked the car and her bodyguard informed the three policemen standing there who he was, and that he was in charge of protecting her. He went into the station to inform the relevant officer about their presence. After 15 minutes, she got out of the car and stood there, surfing the internet on her phone. After things calmed down, Ben Mhenni phoned a lawyer. When he arrived, she told the station commander that she wanted to file a complaint. He told her to file her complaint at another station, which she did. On October 28, 2014, her lawyer filed a complaint with the general prosecutor of the Mednine first instance court. On December 22, 2014, an investigative judge at that court opened an investigation. On June 30, 2016, the investigating judge organized a hearing with Ben Mhenni and three policemen, including the police station chief. At that hearing, the investigative judge informed Mhenni that she had a summons to appear before the court of Mednine on charges of “insulting a state official” under article 125 of the penal code. In the minutes of the hearing, which Human Rights Watch has reviewed, the three policemen who filed the complaint allege that Ben Mhenni had entered the police station without authorization, looking for her bodyguard. When one of the policeman told her to leave, she responded by calling him “a dog of Ben Ali.” On September 19, 2016, the trial against Ben Mhenni opened at the first instance court in Mednine, only to be postponed to an unknown date. Both cases are pending. Sana, 44, a housewife, and her husband Omar, 45, a house painter, whose names have been changed for their safety, allege that they were beaten by the police in March 2013, after they sent a complaint letter about a corruption case to the Interior Ministry. Omar said that, in March 2013, he left Lyon, France, where he was working, to return to Mahdia, 120 kilometers from Tunis. He said the van he was bringing back with him was stolen at the port. Omar went to the police station in Mahdia to complain, and a senior police officer told him that if he paid 1,000 dinars (US$433) the officer would bring the van, Omar said. He said he paid the bribe. After some time, he went to ask the officer where the van was, but the officer said he could do nothing for him. In December 2013 Omar sent a letter to the Interior Ministry’s disciplinary council complaining about the police officer. On July 26, 2014, as Omar was driving his car in Mahdia with his two children at around noon, a white car approached him and forced him to stop. He said the same police officer came out and insulted him and threatened that if he pursued his complaint the office would “make him pay” for it. Omar headed home, with the police officer and another policeman following him. He went into the house, he said, and the two policemen broke down the door and beat him on his head until he fainted. Sana said she was in the living room on the upper floor when she heard the door being smashed. She went to the hallway and saw two policemen climbing the stairs. They forced her down the stairs, then punched her and kicked her in the legs and stomach. One of them took a baton he found in the house and beat her on the head. Then they grabbed her again, took her outdoors to a white car, and one of the policemen started driving, clutching her tightly by the arm and dragging her, she said. She fell on her knees and he continued driving and dragging her for some meters. She fainted and woke up in a hospital. Sana’s medical certificate, which Human Rights Watch reviewed, describes a concussion and bruises on her arms and legs. The doctor ordered 10 days of rest. Sana and her husband filed a complaint with the public prosecutor of the first instance court of Mahdia. On February 24, 2015, the investigative judge of that court indicted the two police officers for assault with violence under article 101 of the penal code and entering private premises against the will of the resident under article 102 of the code. They also indicted Omar, in the same case, for insulting a police officer. The judge based his indictment of the police officers, which Human Rights Watch reviewed, on the medical certificate and three accounts by witnesses of the police officer driving away while dragging Sana. The investigative judge granted the two police officers pretrial release. He based the charges against Omar on the police statements asserting that he had insulted them while they were trying to arrest him at his house. Human Rights Watch reviewed the complaint. It states that the policeman was getting into his car when Sana confronted him and accused him of humiliating her. On January 30, 2015, the District Court in Mahdia acquitted Sana on the insult charge on the grounds of insufficient evidence. The appeals court upheld the acquittal in February 2017. A hearing in the case that merged the assault charges against the two policemen and the insult charge against Omar took place on April 13. A verdict is expected on July 12. Ahmed (not his real name), 66, a retired military officer, told Human Rights Watch that he went with his wife to the Mahdia prison to visit their son on August 10, 2016. For a week before that, they had not been able to visit him because the prison authorities told them he was in isolation. He said they found their son in a very bad state: he was crying and told them that he would die soon. He showed them an open wound on his chest. Ahmed said he was shocked and told the guards as he left that he would complain on behalf of his son to the prosecutor and bring a doctor to record his son’s injuries. He said eight prison guards surrounded him, grabbed him, and took him to a side room inside the prison. They beat him on his chest, his legs, and his arms, then took him for interrogation to the National Guard center in Mahdia, Ahmed said. He said a National Guard officer, seeing his physical state and bloodied clothes, referred him to the forensic doctor. The doctor he consulted the following day at the Tahar Sfar hospital in Mahdia issued a report, which Human Rights Watch reviewed, stating that Ahmed had several bruises, including on his forehead and arm, as well as testicular trauma. On August 12, 2016, Ahmed filed a complaint with the public prosecutor at the first instance court in Mahdia against the prison guards for assault and violence. The same day, he was summoned to the office of the investigative judge, who told him that one of the prison guards had filed a complaint against him for “insulting a state official.” The National Guard investigative report in the case file, which Human Rights Watch reviewed, states that the guard alleges that Ahmed had slandered him when he came out of the visiting hall in the prison. The guard cited other guards as witnesses who confirmed allegations of their colleagues. Ahmed is still awaiting further developments on both his complaint and the complaint against him. I walked toward home, but 15 minutes later the same police car approached me, and the three policemen forced me in it. They took me to the police station in the city center. There I found another police officer, who was in charge of preparing the report. He asked me, “Why are you insulting the police?” Then, “Did you see policemen getting bribes?” He was referring to a reportage I did on smuggling and trafficking along the Tunisian-Libyan border. Jemai said the police officer then called the prosecutor, and told him he was arresting Jemai for “insulting the police.” Jemai demanded to contact a lawyer, but the police officer said he had no right to. The officer also refused to let Jamai call his family, who learned about his arrest later, through people who had seen him being arrested. At 2 a.m., they went to the police station and asked to see him, but the policemen refused. Jemai said he was detained in the police station for two days. On September 19, the police took him to the Gabes district court, where a prosecutor charged him with “insulting state officials” under article 125 of the penal code, and released him pending trial. Jemai said that on January 18, 2017, he went to the Bureau of Taxation to pay a tax, and was informed that he owed 30 dinars fine the court had imposed for “insulting state officials.” He said he had never received a summons for the hearing or notification of the sentence. Abir Chamem, 24, a singer in a well-known group, The Musical Research Band, and a high school teacher, said that on November 1, 2016, at 8:54 p.m., a police car stopped her as she was driving her fiancé to his job at the Regional Transport Company, a few meters from the district police station in Gabes. A man in street clothes emerged from his vehicle accompanied by a uniformed police officer, checked their identity and vehicle documents, then asked them to step outside of the car and accompany him to the district police station. She said her fiancé refused and told him he has to report to work. She said the man insulted them. She said she told him he should not talk to her that way and that he should respect her as a citizen and a teacher. The two policemen put Chamem and her fiancé into their car and took them to the Gabes district police station. The policeman told the station chief that Chamem and her fiancé had refused to give him their vehicle documents. She said that they signed the police report, after reading it, at 1 a.m. The police report accused both Chamem and her fiancé of insulting police officers and refusing to show their documents. On November 7, they were summoned to the police station again. The head of the police station informed Chamem that they were recommending charging her with “insulting a police officer” under article 125 of the penal code. On November 9, her lawyer filed a complaint against the police officers for “assault and beating” before the prosecutor’s office of the Gabes first instance court. She said representatives of the Culture Ministry tried to mediate, holding a meeting between Chamem and her fiancé, and the Gabes chapter of the Union of Police Forces. During the meeting, both Chamem and the police agreed to drop their complaints. She said that in January, she was invited to a police ceremony in Gabes. Human Rights Watch reviewed a video of the ceremony, which shows the head of the Gabes chapter of the Union of Police Forces calling Chamem to the podium, handing her flowers and saying that what happened was a mistake. Chamem said that she heard no more from the police. But on May 18, she received an order from the first instance court of Gabes, summoning her as an accused party, for a hearing on June 1, during which the judge sentenced her to 100 dinars fine (US$41). As for her complaint against the police, she said she was unaware of any action taken yet by the judiciary on it. On December 19, 2014, Ines Ben Othman, a filmmaker, went to the police station in Ennasr a neighborhood in Tunis, to complain about the behavior of a female police officer working there, who, she said, had sent her threatening and slanderous messages via Facebook. At the police station, the officers did not take her request seriously, she said. The station chief prevented her from leaving, holding her for several hours of questioning, then arresting her for insulting the police. Later that day, the police took her to L’Aouina, a National Guard interrogation center for serious crimes, and questioned her further. The public prosecutor then issued a detention order, and held her for six days in the Bouchoucha detention center. Policemen at the Ennasr police station alleged that when she was leaving the station, she turned and insulted them. The investigative judge of the first instance court of Tunis charged her with “insulting the police.” Ben Othman spent one month in Manouba Prison for women, first in pretrial detention then as a convict after the first instance judge sentenced her to a three-month term. The appeals court reduced her sentence to one month in prison and released her in recognition of time served.